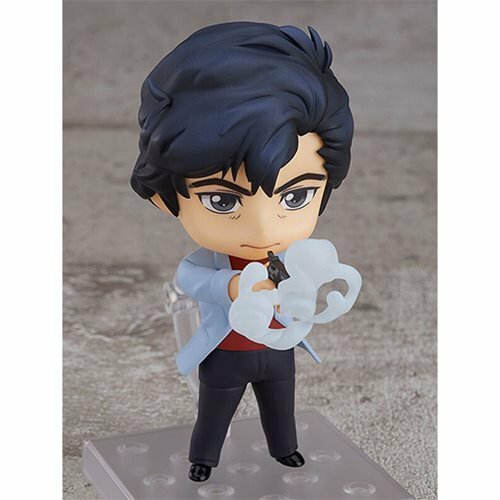 "Are you the one that called me?" 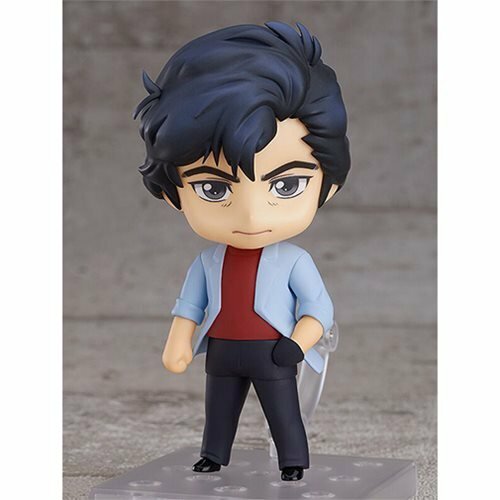 He doesn't seem quite so dangerous as a 4-inch tall figure. 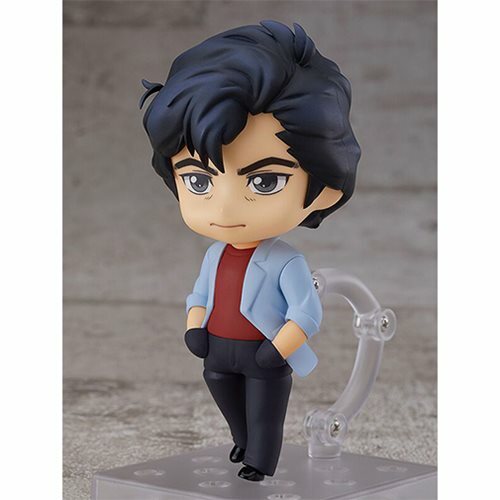 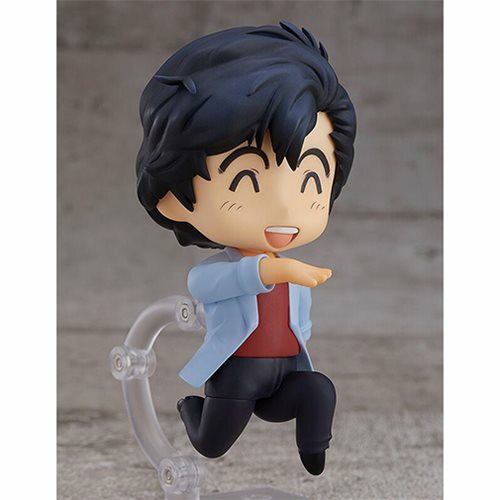 From the 2019 anime movie City Hunter the Movie: Shinjuku Private Eyes, comes a Nendoroid of the legendary sweeper known as City Hunter. 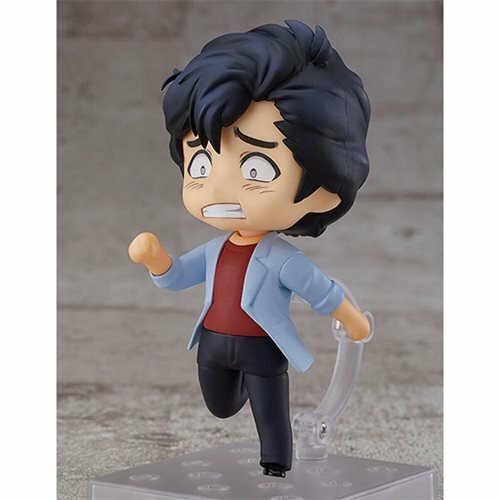 Ryo Saeba includes three face plates - his standard expression, a more comical smiling expression, and a flustered expression. 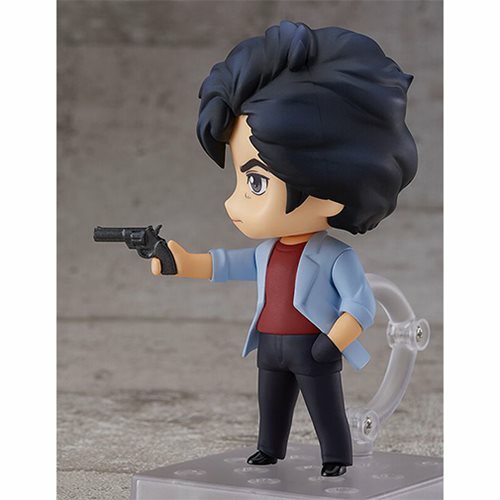 He also brings alternate hands, his gun, a gun-smoke effect, and a stand. 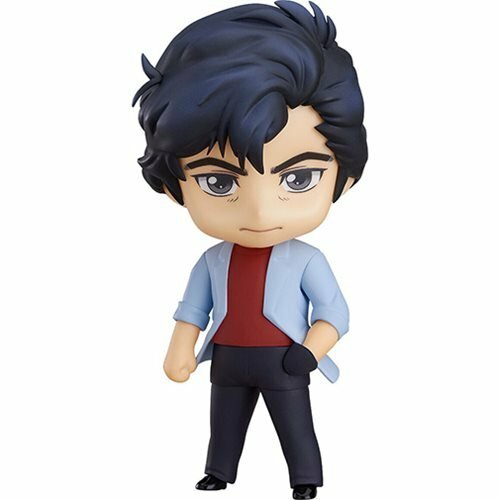 Particular attention was taken to the proportions and joints, allowing you to recreate cool City Hunter poses with ease with this amazing City Hunter: Shinjuku Private Eyes Ryo Saeba Nendoroid Action Figure!